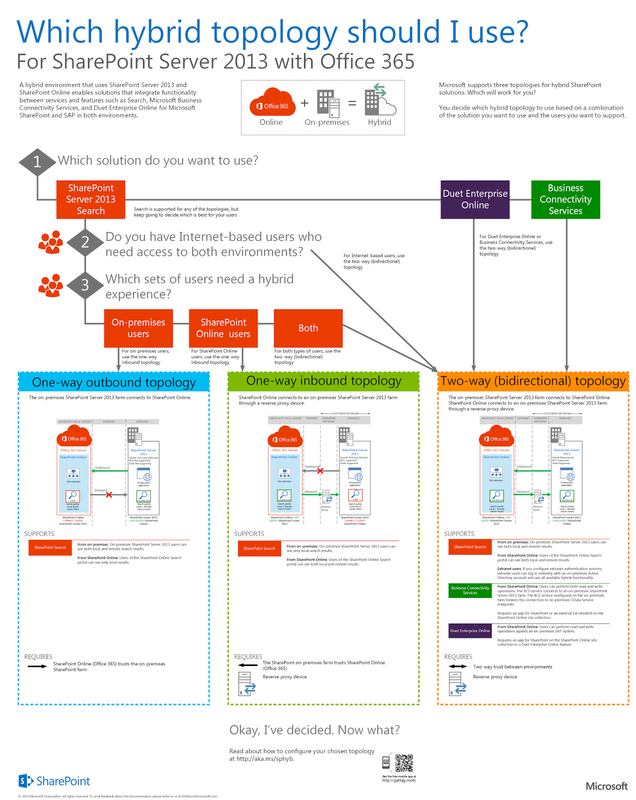 Today I will share with you a Big picture of the Architectures of SharePoint Server 2013. There are 3 ways to go: Cloud, On-premises or Hybrid. This choice depends on your requirements. Check the picture below to make a choice !